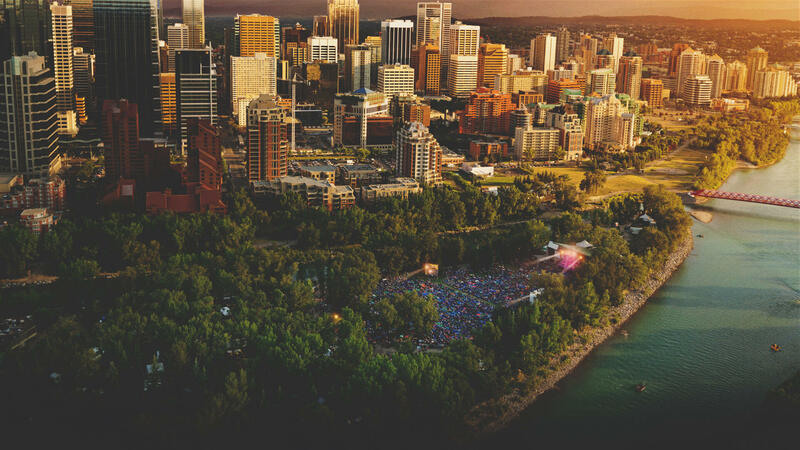 JULY 25 - 28, 2019 The Calgary Folk Music Festival, annually features 70 artists from over 16 countries on 9 stages in 100+ distinct concert and unique on-the-fly collaborations at urban, forested retreat of Prince's Island Park to daily audiences of 13,000. Like a mini town, the site boasts an interactive family area, international craft market, global culinary delights, a record tent and tree-shaded beer garden. Our extensive environmental program garnered us a Greener Festival award. It’s a collective sound salvation for musical omnivores; a 4-day long weekend where a diverse, multi-generational audience is immersed in live music in a cool, relaxed atmosphere. Dubbed by the Globe and Mail as ‘one of the seven musical wonders of the world,’ it’s a genre-bending affair that cleverly brings in roots, world and indie icons and upstarts from around the globe for an ear-opening journey into the heart and soul of the roots and evolution of the music we like to call folk. The Festival also presents an annual Boot Camp, Song Contest and programs music and art around Calgary, including at its new Inglewood venue - Festival Hall - throughout the year. 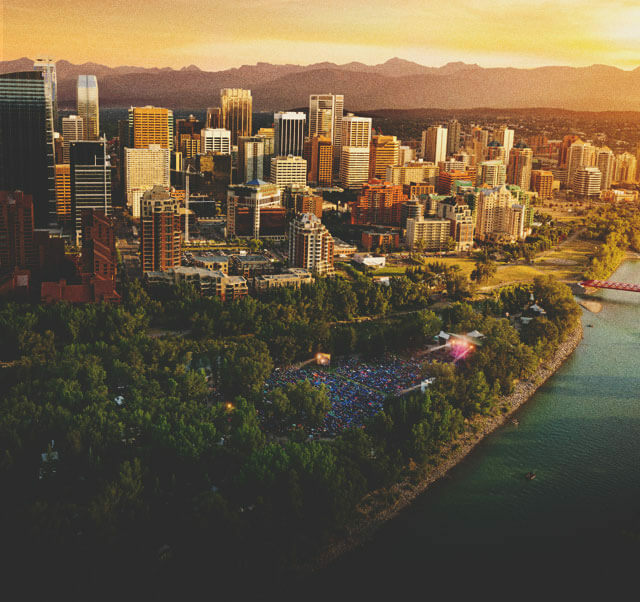 JULY 25 - 28, 2019 Dubbed by the Globe and Mail as ‘one of the seven musical wonders of the world,’ the Calgary Folk Music Festival is a genre-bending affair that cleverly brings in roots, indie icons, and upstarts from around the globe for an ear-opening journey into the heart and soul of the roots and evolution of the music we like to call folk. We annually feature 70 artists from over 16 countries on nine stages in over 100 distinct concert and unique on-the-fly collaborations at the urban, forested retreat of Prince's Island Park to audiences of 13,000. The festival boasts an interactive family area, international craft market, global culinary delights, a record tent and tree-shaded beer garden. Watch and listen to a four-day long weekend where a diverse, multi-generational audience is immersed in live music in a cool, relaxed atmosphere. The Festival presents an annual Boot Camp, Song Contest and programs music and art around Calgary, including at its new Inglewood venue - Festival Hall - throughout the year.